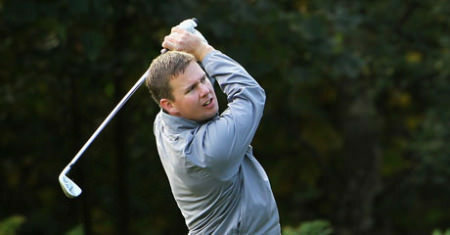 GLENMUIR PGA — Dubliner Michael McDermott carded a second round 71 to slip five strokes behind England's Chris Gane in the Glenmuir PGA Professional Championship at Blairgowrie Golf Club. The Pure Golf Leopardstown player had three birdies and two bogeys in his round and shares sixth place on four under par behind Chris Gane, who shot a seven 65 to lead by one from Paul Hendriksen. Old Conna's Donal Gleeson (71) is tied 26th on level par with John Kelly (73) 34th on one over and Massereene's (74) tied 49th on three over..
Mark Whelan, Brendan McGovern, John Murray, Mark O'Sullivan, Liam Bowler and Shaun Donnelly missed the cut, which fell at three over. BOYS HOME INTERNATIONALS — England maintained their 100 per cent record with a convincing 10.5-4.5 win against Wales, while Scotland kept their nerve to secure a dramatic 8-7 win over holders Ireland on the second day of the Boys Home Internationals at Western Gailes Golf Club in Ayrshire. With two victories England are in the driving seat as Derek Hughes’ side look to win the prestigious team title for the third time in four years. However, they will have to overcome Roy Archibald’s young Ireland side, who won at Forest Pines in Lincolnshire 12 months ago. favour on the final day. For Wales, who have never won the Boys Home Internationals, they will look to end the week on a high against Scotland, who in turn are seeking their first win since 2006 at Moray. SENIORS AMATEUR CHAMPIONSHIP — George Wilson is the best of the Irish after a 72 left him tied for fourth behind clubhouse leader Anthony McClure of England after the opening round of the Seniors Amateur Championship at Ganton. Irish Senior Close winner Maurice Kelly and Tramore's John Mitchell signed for eight over 79s with Hugh Smyth (82) and Michael Quirke (84), well down the leaderboard. 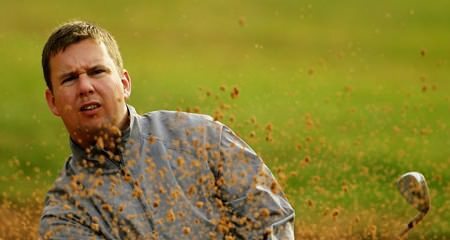 American Golf is throwing the full weight of its support behind Michael McDermott, one of its own PGA professionals, at the Dubai Duty Free Irish Open. Michael McDermott reached the final of the Glenmuir PGA Professional Championship at the first time of asking after winning the Irish qualifier at Killeen Castle Golf Club.